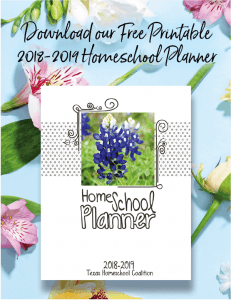 The freedoms enjoyed by homeschoolers and the rights of parents are on the line during the 2017 Special Texas Legislative Session. That’s why we need your support to continue our momentum. THSC realized unprecedented success during the 2017 regular legislative session. 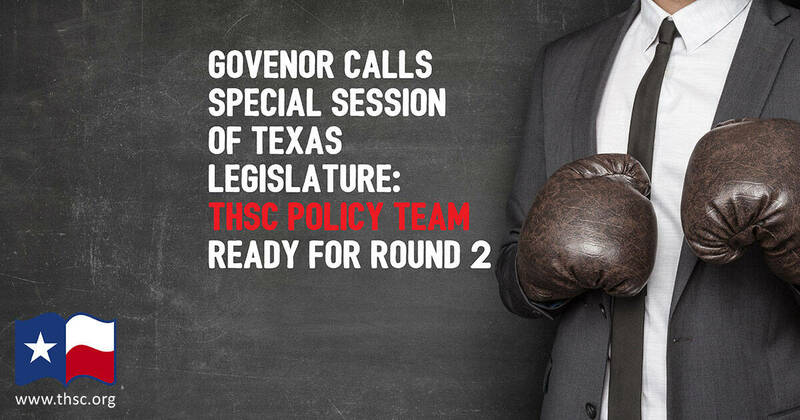 Now, with the special session approaching on July 18th, THSC is heading back to Austin to ensure that homeschoolers and Texas families remain protected. The THSC Watchmen are working to raise $16,000 to help cover the remaining costs of the first legislative session and put our team back on the ground during the special 30-day legislative session called by Governor Abbott. Your support of $35, $50, $100, $200, or more will ensure that THSC has the resources to build on our victories during the regular legislative session. Stopped or helped prevent 21 bills that specifically threatened parental rights. Successfully amended and fixed 14 bills that threatened parental rights. Made substantial progress on important parent rights reforms. Advanced the Tim Tebow Bill further than any previous legislative session. Passed 9 CPS reforms that will protect parents and homeschoolers from CPS overreach. There is a saying that our liberties are never safe while the legislature is in session. So, as we celebrate our country’s freedom this Fourth of July Week, take time to think about how you can contribute to THSC’s effort at the Capitol. Privacy Act: Parents—not the government—should decide whether their children use co-ed bathrooms, locker rooms, and other public facilities. ESAs (Education Savings Accounts) for Special Needs Students: THSC will work to ensure that homeschooling and parental rights are protected in bills that deal with parental choice in education. Do you see how these issues relate to outside parties attempting to circumvent parental rights? That’s why we need your support to fight legislation that reduces or removes parental rights. With your help, THSC will raise $16,000 to help cover the costs of the THSC Watchmen continuing our fight during the special legislative session. These funds will also help THSC start working on the next election cycle to support pro-family legislators in the primaries. Our work also includes opposing officials who do not share our views. Specifically, Texas House Speaker Joe Straus tried to recruit activists from the liberal public school lobby to run for Texas Senate. For homeschoolers to maintain our great success at the Capitol, it is imperative that we elect homeschool-friendly legislators and oppose individuals that do not reflect our values. Will you stand with THSC as we continue the fight for homeschooling freedom in the 2017 Special Texas Legislative Session and upcoming elections? Whether it’s $35, $50, $100, $200, or more, your gift to THSC in the month of July will help preserve freedom today and for generations to come as we continue Keeping Texas Families Free! Support THSC by Making a Donation Today!